To begin this article with no ambiguity: Adult palate expansion without surgery is not only possible, but normal and expected. The modern medical community is split on natural palate expansion, yet more and more practitioners have reported non surgical results with patients who are late into life. The reason for this divide is the slow shift of the scientific field away from incorrect precedent that skull bones fuse together after puberty. While still taught this way in most academic institutions and preached by the medical mainstream, thousands of orthodontists and dentists have attempted non-surgical intervention on patients into their 20s, 30s, 40s, 50s, and later yet found that there is no age at which the skull bones will not adapt and expand with pressure. The studies are now starting to pile up that show that surgery is not necessary to expand the palate. 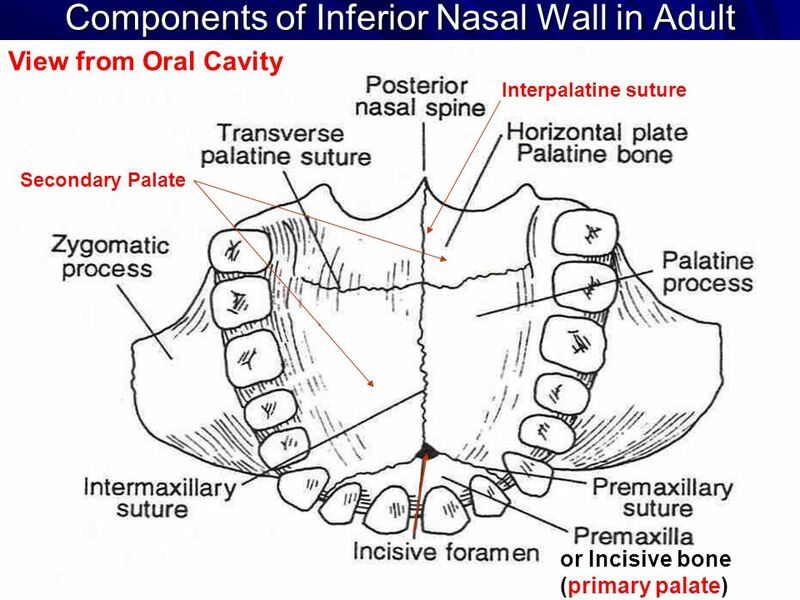 To understand why you may have been informed otherwise, we must look at the process by which the palate (bottom of the maxilla) is expanded. The skull is composed of 22 bones, and between these bones are growth sites known as sutures, which serve both as bone growth sites and to allow flexibility in the skull . Contrary to the previous paradigm, it is now known that the sutures never fuse in a healthy adult: Pressure places on the skull bones/plates is always capable of stimulating growth at the sutures. When outward pressure is placed onto the teeth and palate, they will push outwards and bring the alveolar ridge and upper palate along with them. Down the middle of the palate is the mid-palatal suture, in the front is the premaxillary suture, and in the back is the transverse palatine suture. When the teeth/upper palate are pressured in some outward direction, any one (or all) of these sutures will now be forced apart by this movement. The suture is made up of fibrous tissue, and when it is pulled apart there will be new tissue permanently generated in the gaps. The only significant differences in this process during adulthood are the time that is necessary for expansion to occur, and the possibility that other bones out of alignment must be corrected in addition to the palate expansion. As the adult is done with the natural unconscious growth spurt of puberty, they no longer have that automatic advantage in growth/generation hormones which cause rapid changes in the body. Externally augmenting or manipulating these hormones is not recommended by the author. Additionally, since the 22 bones of the skull fit together like puzzle pieces it is natural that the expansion of the palate may be slowed down by other bones which need to reposition themselves along the way. The palate should have grown to the proper size as an adult, there is no genetic coding that is causing so many people to develop underbites/overbites/crowded teeth/flat faces etc. The issue is that form follows function, bone growth is altered and controlled by the muscular forces which surround and shape it (in accordance with Wolff’s law). In many humans, the chewing muscles (of the jaw) and their counter muscle (the tongue) are neither in their proper positions nor are they as strong as they are meant to be. This muscle pairing together should drive the tongue up into the palate and against the teeth/alveolar ridge, and be causing that expansion talked about earlier all throughout childhood and into old age. The proper development pattern is outlined here: Proper Development of the Skull and Posture After Birth. This proper development is what ensures a large, healthy airway and fully developed jaws with healthy dentition. It is completely possible to expand the maxilla by returning to this normal posture and strengthening it. Expansion devices essentially mimic the proper function of the tongue in order to stimulate expansion in children and adults, and often patients see a relapse without a retainer because there is no force supporting the new growth. The tongue is your natural expander and retainer, it is the muscle that should have been used to ensure proper development in the first place. The method of using your tongue posture to correct jaw deficiencies is outlined thoroughly here: Guide to Proper Tongue Posture. If you would like to discuss anything, need help with understanding, or want to share your experiences, please join us at the community forum!